When we think of kakanin, we think of cooking rice flour for hours upon hours. 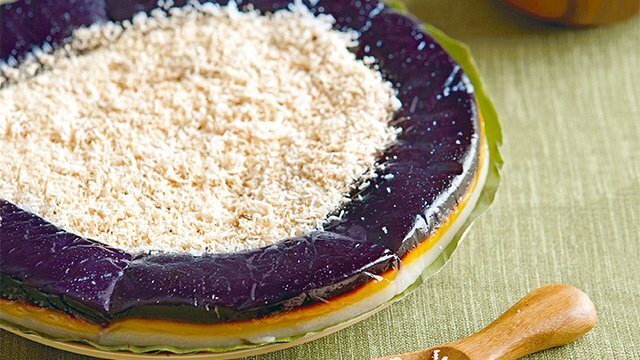 There’s a lot of effort that goes into producing the sweet, classic merienda. But not for pichi-pichi! 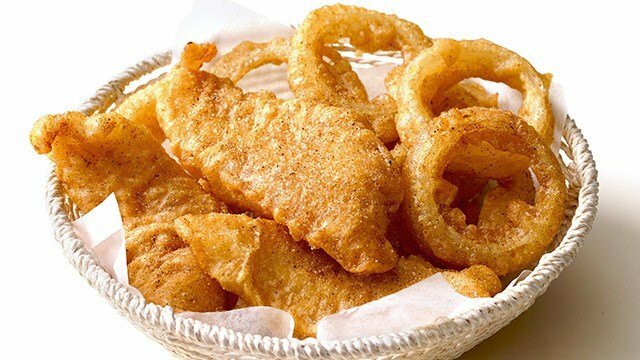 You can get those tender, sweet, addicting little bites with no trouble at all. 1 Our recipe is the easiest one you’ll find. 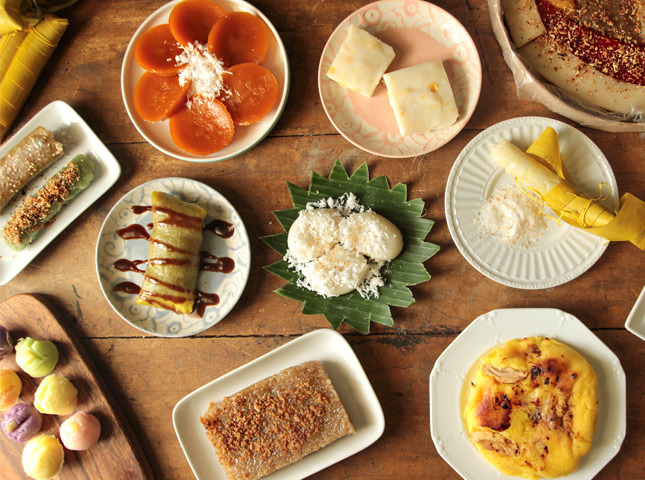 Traditional pichi-pichi is made of grated cassava. That does require some elbow grease. But you can always use cassava flour! Our recipe makes it super easy. Another ingredient that might scare you away from other traditional recipes is the use of “lye water” which is also used to make soap. We daresay that you don’t need it. 2 Can’t find cassava flour? Use fresh cassava instead! 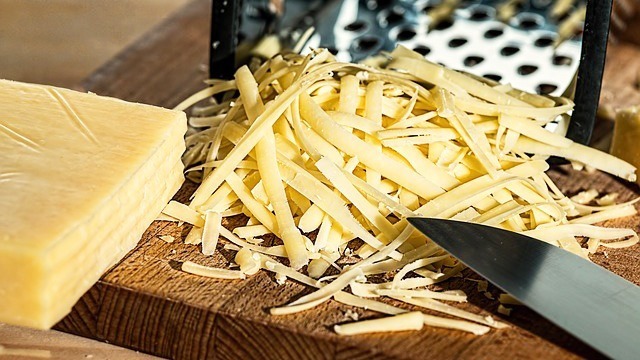 Grating two cups of cassava only adds a few minutes to prep time. 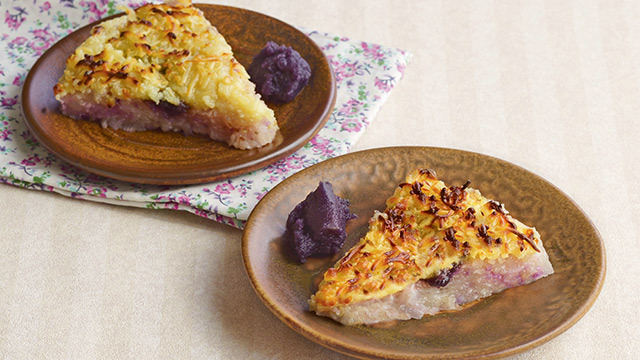 If you like the texture of cassava, and the additional firmness, you might want to go with this recipe instead. It’s still ridiculously easy to make as it only requires just a few ingredients! Sure, it takes a little more than an hour before you get the finished product, but 45 minutes of that time doesn’t require any effort at all. You just leave it in the steamer and let it works its magic. No standing by the stove and working your arm muscles required. No muscles required, really! 4 Play around with your toppings! How do you like your pichi-pichi? Do you like it with grated cheese, grated coconut, muscovado sugar, toasted sesame seeds or desiccated coconut? The sky is the limit! These toppings won’t just add flavor and texture, they’re also really easy to prep. 5 It only has one thing you might not already have. Pichi-pichi, in order to cook properly and evenly needs small molds. You can go for either tiny silicone cups or metal cups. It is well-worth the small investment as you’ll no doubt be using it repeatedly. 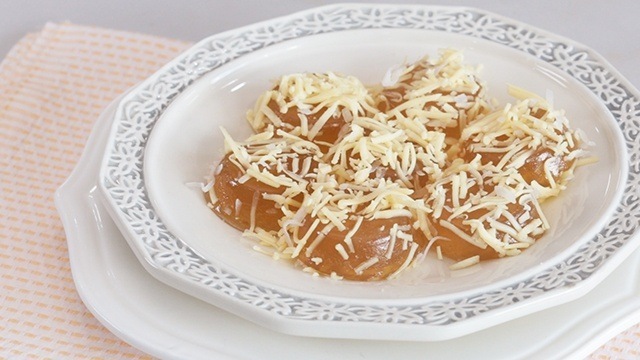 We’re still trying to get around the fact that pichi-pichi is that easy to make. But once we do recover from the shock and awe, we’re going to the kitchen. 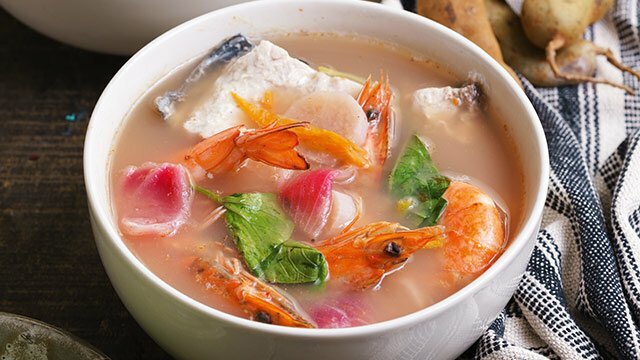 We have loads of easy Pinoy kakanin recipes! Bake away! 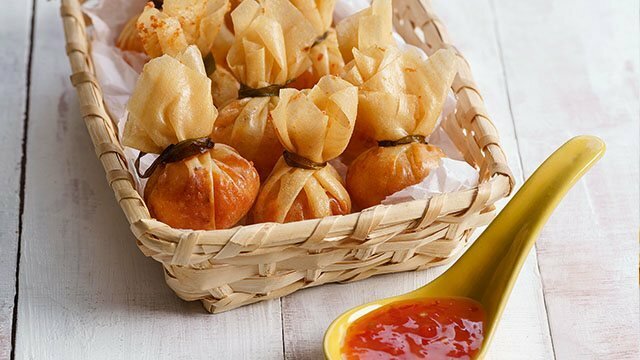 Pinoy kakanin is easy to make.